My husband and I used to have a weekly movie night. Every Wednesday, after the kids were fast asleep, we would settle in to watch a flick together. Unfortunately my husband (who has seen pretty much every movie made since 1977) learned quickly that I was a horrible movie-watcher. I asked too many questions, critiqued the dialogue, and ripped apart actors’ work. My kids have picked up this awful habit of mine, and the little Spielbergs think they can out-direct even Scorsese. Launchpad has already made my budding directors quite happy with their Toontastic apps, and today they’ve done it again. 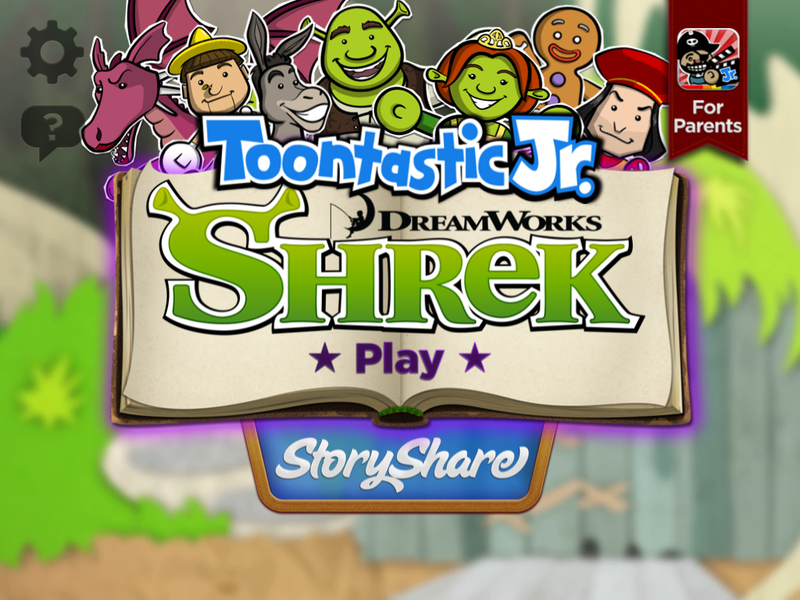 Now available in the App Store, Toontastic Jr. Shrek combines story-making magic with the cast from Dreamworks crazy-popular Shrek movies. Young players are given everything they need to create animated stories, and if they don’t like the way the original movies end they can make their own endings (along with beginnings and middles, too). The app sets the scene to begin the story-telling by spinning different backdrops for the three “acts”. 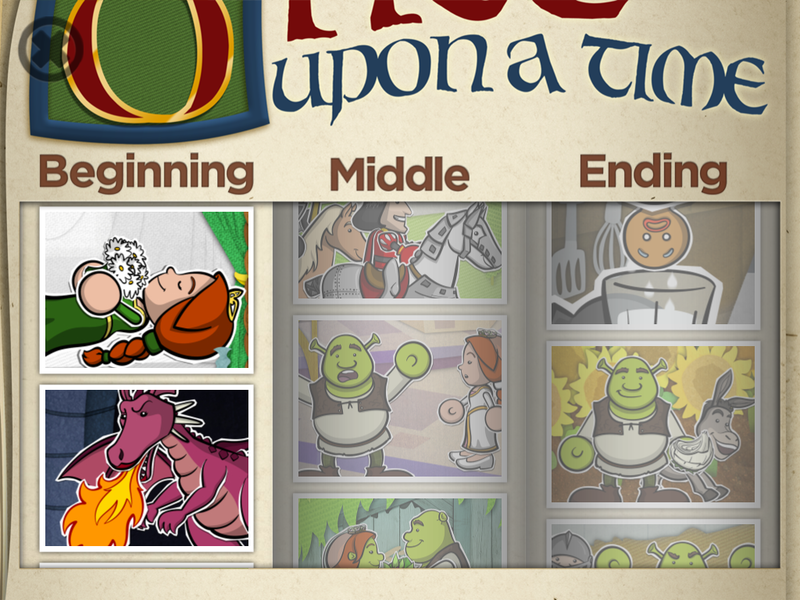 Choose from several moments pulled directly from the movies, like when Shrek met Donkey or Gingey (the cookie man) getting himself into hot milk water. From there players can move, rotate, or enlarge characters in the scene and record their own voice telling the tales. Music can finally be added based on the mood of the story, and when all three portions are complete the title and director are recorded in perpetuity.Finished films are presented in grand fashion, right down to velvety curtains drawing back for a big reveal. Watching my kids (3 and 5) play Toontastic Jr. App was as close as I’ll get to watching a live taping of Inside The Actor’s studio. The user interface is incredibly easy for both kids to use independently but they really loved working together. They made each other laugh hysterically with their falsetto voice-overs and thrilling sound effects. One day when they’re up on a podium collecting a prestigious film award I’ll think back to the days where they were mimicking Fiona’s bodily function noises. 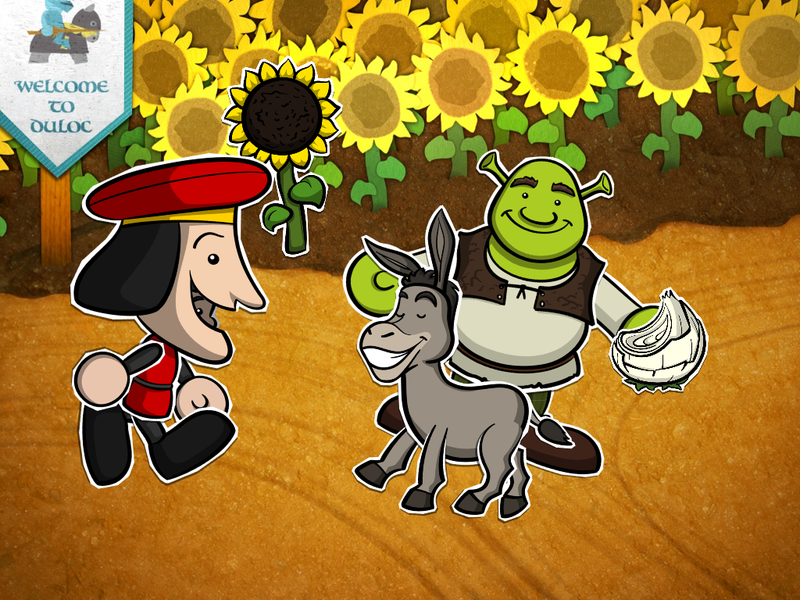 Launchpad has a huge hit on their hands with Toontastic Jr. Shrek. Over the past few months they’ve worked closer with the folks over at Dreamworks to ensure that this app would make even the most critical mini-director happy with the dailies. We are truly impressed enough to call this new release an All Star!